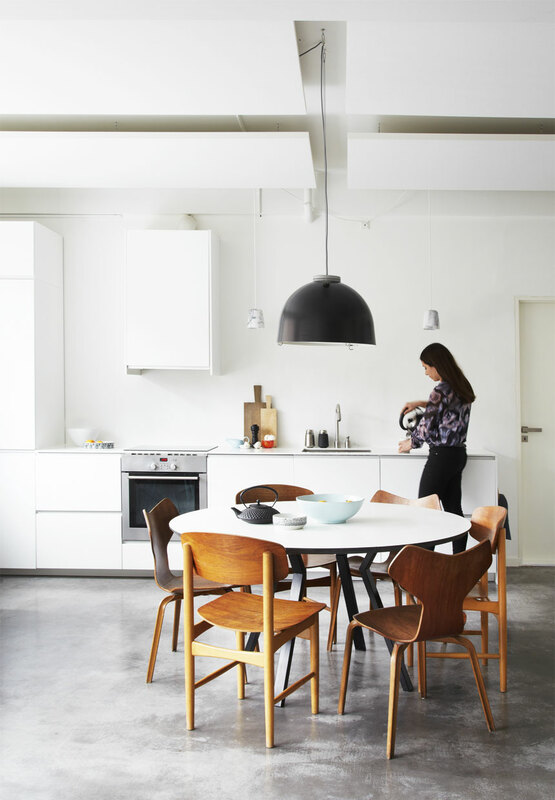 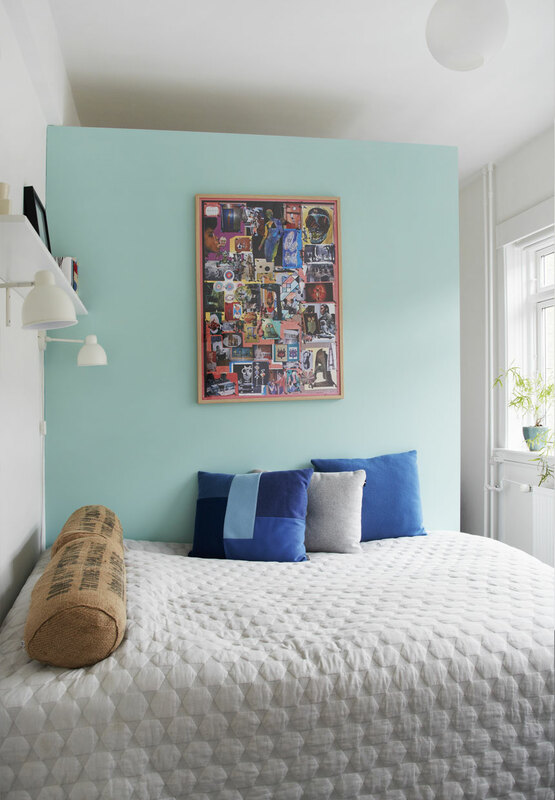 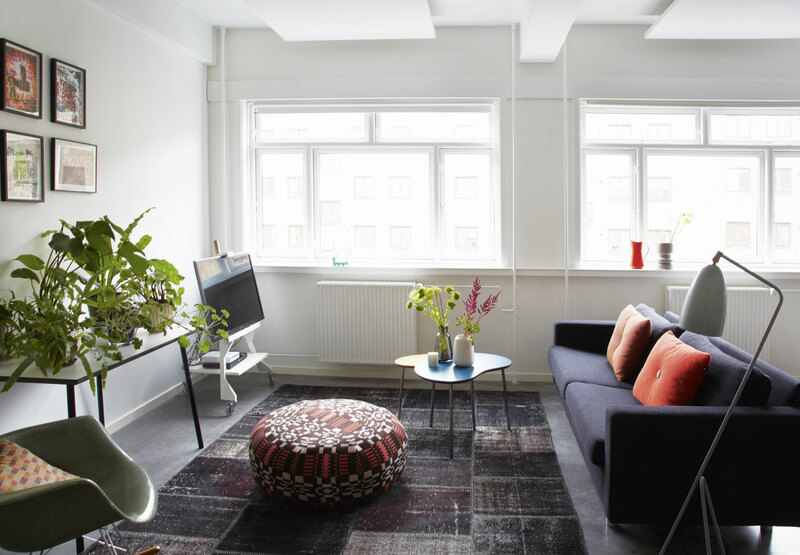 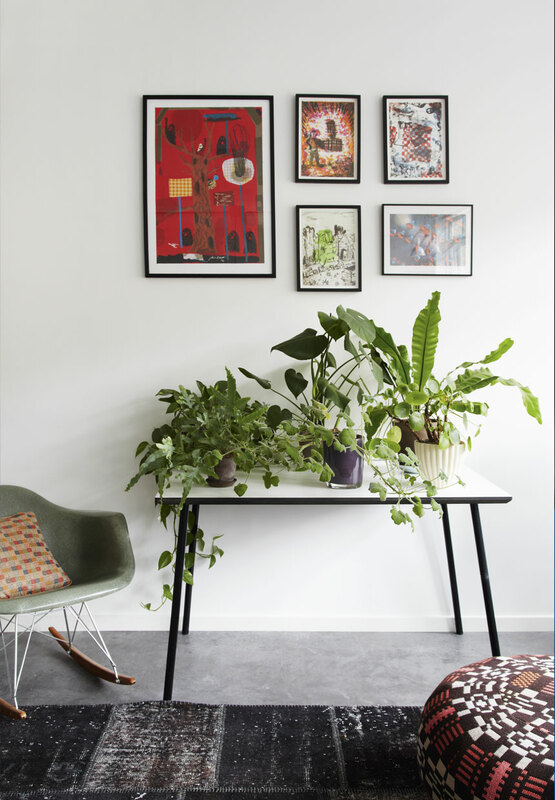 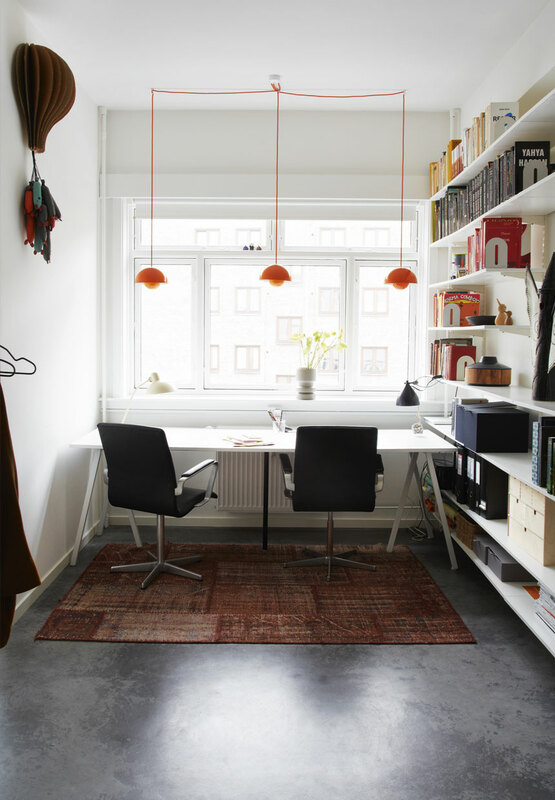 In the old warehouse building you can find this lovely 150 square meters large home of Anne Smedegaard and her family. 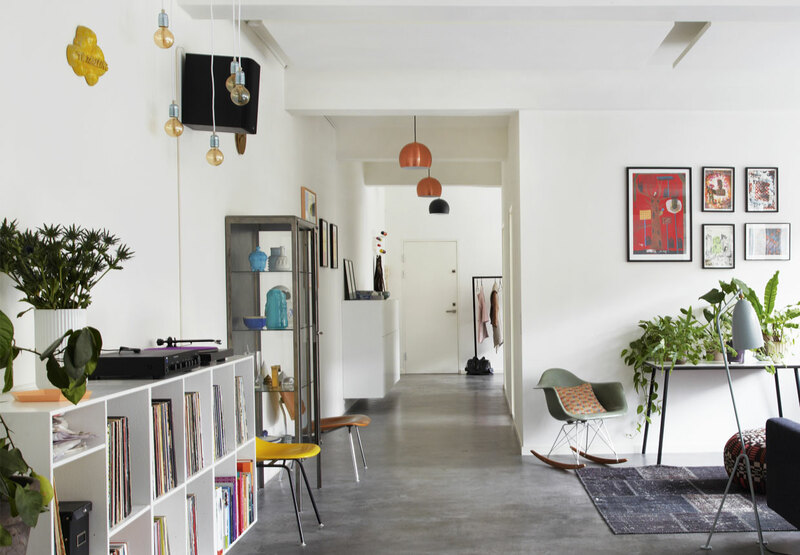 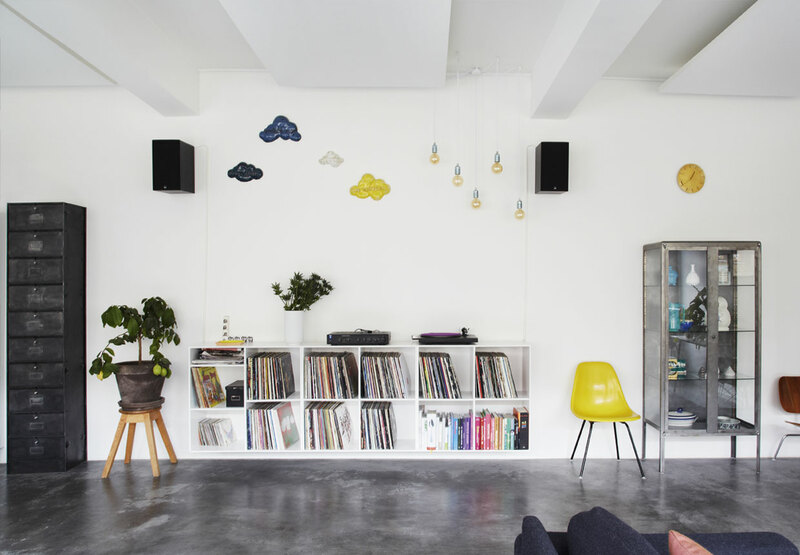 It has a typical lofty, industrial look which is supported by the use of gray concrete floors. 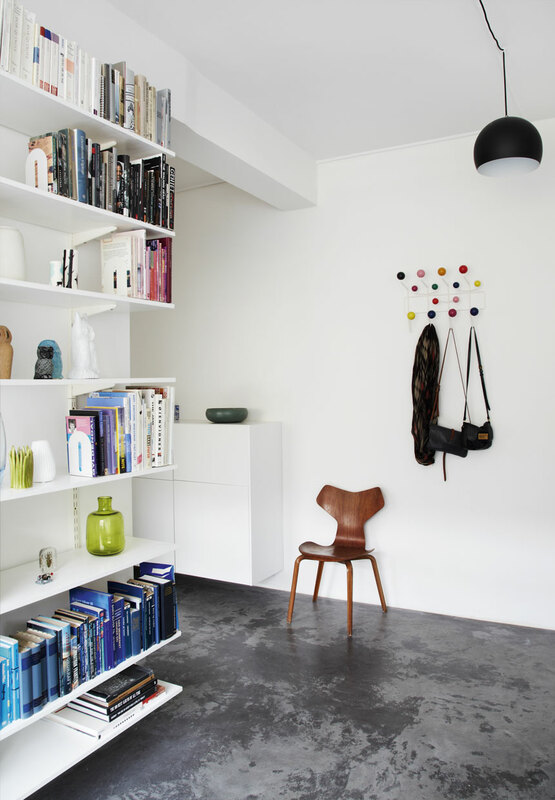 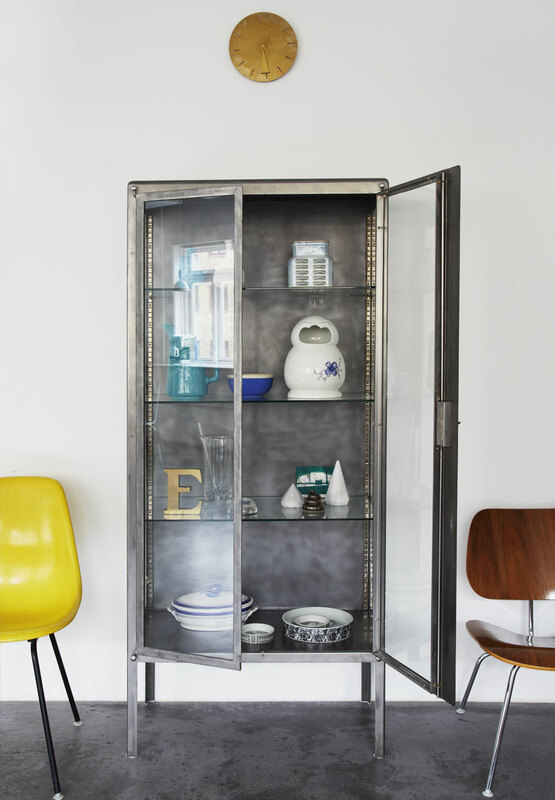 All around the place you there are great mid century modern pieces (mainly from Eames but also Arne Jacobsen or George Nelson ) and an interesting selection of decor in various bright colors.